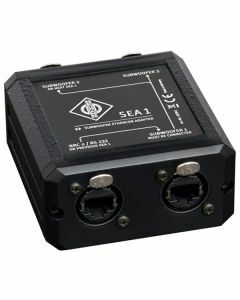 Enables the connection of multiple subwoofers to a single remote controller: NRC 1 or any other source of RS-232 data. Up to 3 subwoofers can be driven off one SEA 1. Additional SEA 1s are required for larger systems. Standard CAT-5 (or better) network cables, available from third parties, can be used.